The Battle of Williamsport was part of Robert E. Lee’s Gettysburg Campaign in 1863. Also known as the Battle of Hagerstown, and the Battle of Falling Waters, the Battle of Williamsport was fought from July 6 through July 16, 1863, in Washington County, Maryland following the Battle of Gettysburg. Following the Union victory at the Battle of Gettysburg (July 1 – 4, 1863), Confederate General Robert E. Lee decided to end his second invasion of the North. At roughly 5:00 p.m. on July 4, Brigadier General John D. Imboden led a long train of Confederate wounded and supplies toward the Potomac River crossings at Williamsport and Falling Waters, about 50 miles to the southwest. Lee ordered the remainder of the army to follow using a different route the next day. As the operation commenced, heavy rains began falling, slowing the evacuation. When Imboden reached the Potomac he found the river so swollen that the ford at Williamsport was impassable. He also discovered that Union cavalry dispatched from Harpers Ferry by Major General William H. French had destroyed the Confederate pontoon bridge across the river at Falling Waters. Unable to reach Virginia, Inboden formed a semi-circular defensive line anchored on his left by the Conococheague Creek and on his right by the Potomac River at Falling Waters. With the Potomac at his back, Inboden established a temporary hospital at Williamsport and hunkered down to await Lee’s arrival with the remainder of the Rebel army. On July 5, Major General George G. Meade, commanding the Union Army of the Potomac, learned that Lee had left Gettysburg. Despite prodding from his superiors in Washington to aggressively pursue the Confederate general and destroy his army, Meade was initially satisfied with dispatching his cavalry to harass the retreating Grey Coats. Meade had reason to be cautious. His army was tired and battered from the previous three days of battle. Unsure of the extent of the damages inflicted upon the Confederates, Meade also needed time to gather information to determine if Lee intended to withdraw to Virginia or to make another stand north of the Potomac. Finally, Meade was hampered by overriding orders to guard against a possible Rebel assault on Washington and Baltimore. After reconnaissance missions determined that Lee was, indeed, retreating, Meade divided his army into three columns and initiated a more vigorous, but still cautious pursuit. Throughout the pursuit, Meade was careful to keep his main force between Lee and the nation’s capital. On July 6, 1863 Brigadier General Judson Kilpatrick’s Union cavalry division tried unsuccessfully for six hours to dislodge Major General J.E.B. Stuart’s cavalry from Hagerstown. Stuart’s victory maintained control of important roads leading to Williamsport. On the same day, Union Brigadier General John Buford launched an ill-fated cavalry assault against Imboden at Williamsport. The Confederate general summoned enough artillery and defenders to hold off a three-hour Federal onslaught, saving the Rebel stores and wounded from being captured. When Lee arrived at Williamsport the next day, the river remained too high to cross, so he immediately went to work bolstering the Confederate defensive line. With only 35,000 able-bodied soldiers available, Lee deployed Major General James Longstreet’s Corps on the left and Major General A.P. Hill’s Corps on the right. While the river hindered the Rebel retreat, Lee rounded up a few boats to resupply his army with ammunition. Meanwhile, Meade’s reinforced army, now numbering as many as 95,000 soldiers, crept to within a mile of the Confederate line over the next five days. By July 12, Meade had his army in position and began probing the Rebel defenses. The next day heavy skirmishing erupted. 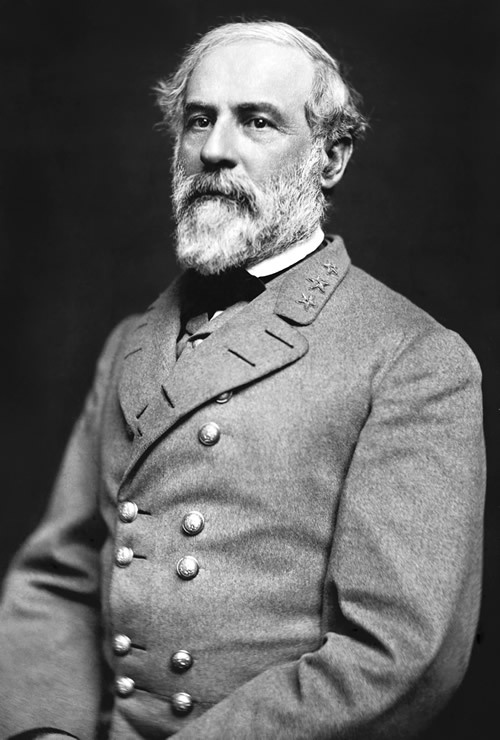 On July 14, Meade ordered a general advance by four divisions, but the opportunity to finish off Lee’s army had been lost. By July 13 the river had fallen enough to accommodate the Confederate retreat. That night Longstreet’s Corps crossed over a newly-constructed bridge at Falling Waters. By morning, Ewell’s Corps and most of Hill’s Corps had forded the river at Williamsport. With Brigadier General George A. Custer’s brigade in the vanguard, on the morning of July 14, Union cavalry divisions commanded by Buford and Kilpatrick attacked Lee’s rearguard, commanded by Major General Henry Heth, north of the Potomac near Falling Waters. A premature assault by two Federal squadrons alerted the Rebels to the impending onslaught, enabling them to mount a more spirited defense than might otherwise have been possible. Still, more than 500 Confederate soldiers were captured before Heth’s division could cross the river on the pontoon bridge. The final action in the Battle of Williamsport occurred on July 16, 1863, when Brigadier General David M. Gregg’s cavalry division approached the Confederate brigades of Brigadier General Fitzhugh Lee and Colonel J.R. Chambliss guarding the Potomac River Crossing at Shepherdstown, West Virginia. After several unsuccessful assaults, Gregg withdrew at nightfall. The Battle of Williamsport was arguably more important for what did not happen, as opposed to what did. Much to the chagrin of his superiors, including President Lincoln, Meade’s measured pursuit of the trapped Confederate army enabled Lee to hang on long enough to escape across the Potomac after the rain-swollen waters receded. Coupled with Ulysses S. Grant’s victory at Vicksburg, Meade lost an opportunity to possibly end the Civil War in 1863, two years before its actual conclusion.